Notes This is the first in a very occasional series of posts focusing on ‘information-rich’ designs (at time of writing I have three further examples in mind, though there are surely many more – suggestions welcome). 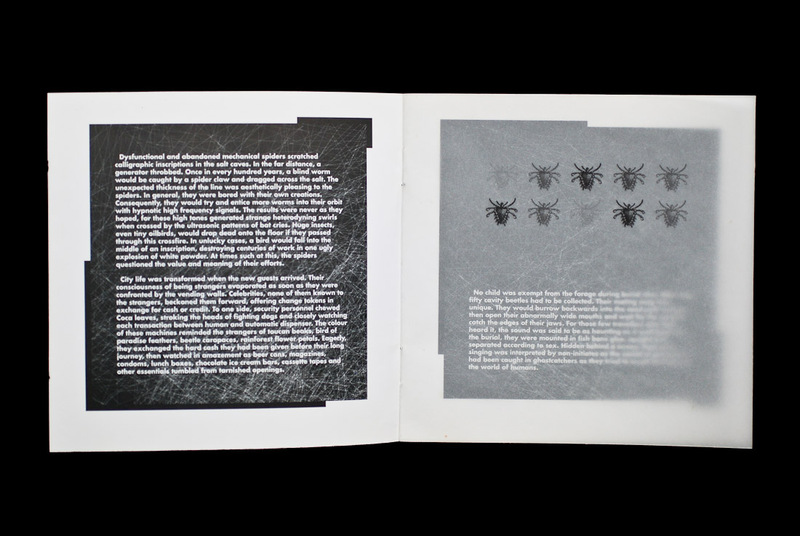 Graphic design and imagery can of course provide concentrated information, but here I’m referring to sleeve designs that contain texts other than the standard list of credits or the once popular liner notes. 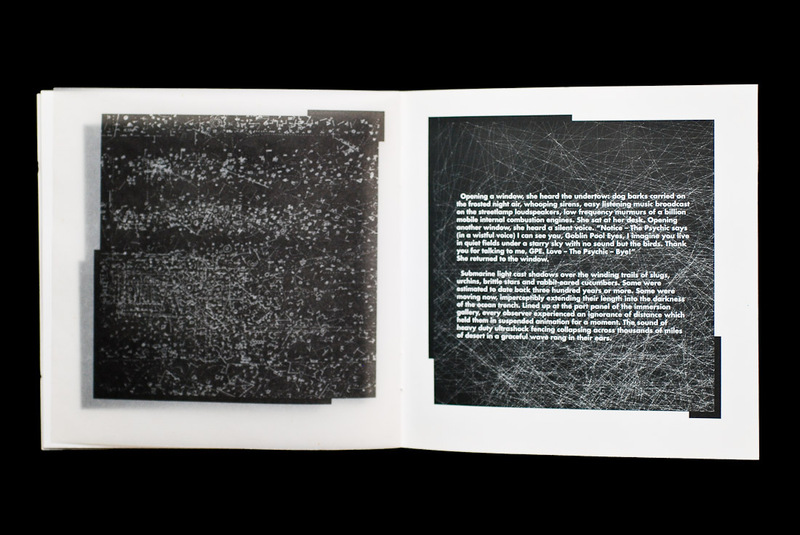 David Toop and Max Eastley’s collaboration Buried Dreams is a perfect example of this. In one direction, the suburbs, surrounded by whipping fences armed with deadly voltage. Blackened animals sat at a distance from these banshee defences and wondered why they had died. In another direction, the desert encampments, chaotic with strange lifeforms. There were legends of a subsonic boom that could paralyse snakes as it rolled across the dunes. In the encampment, pornographic raconteurs delivered circadian monologues from open-fronted shops, thin plastic microphones held delicately between thumbs and forefingers in the manner of lounge singers. 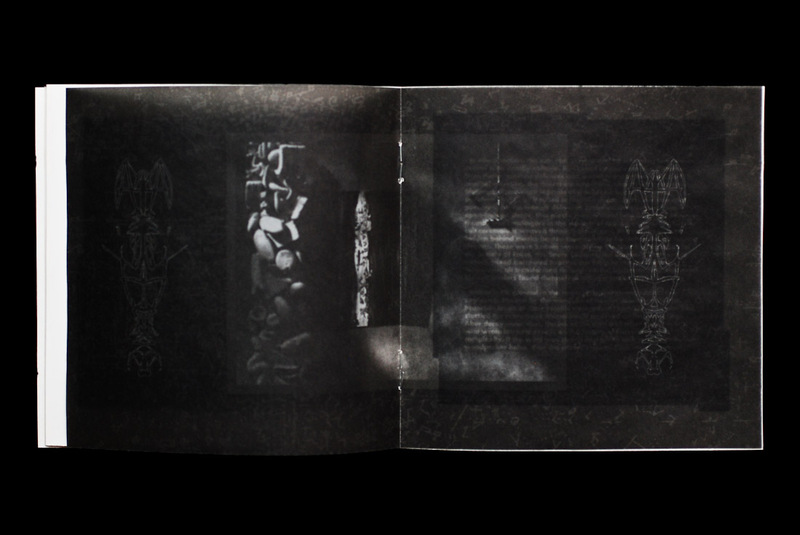 The booklet is interleaved with Max Eastley’s darkened, semi-transparent images that hint at stone totems, torture(d) spaces, alien skeletons, blurred code patterns. 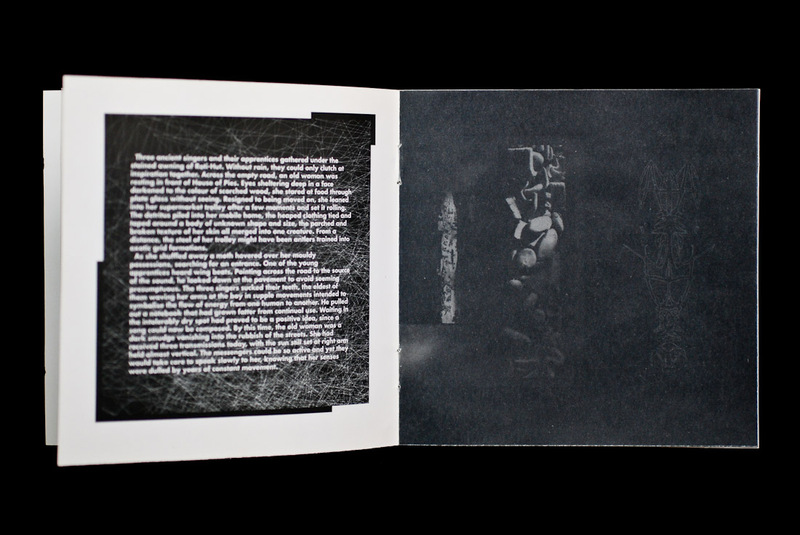 Image, text and music make rich pieces of a jigsaw puzzle, the remaining spaces filled by the imagination and experiences of the audience. 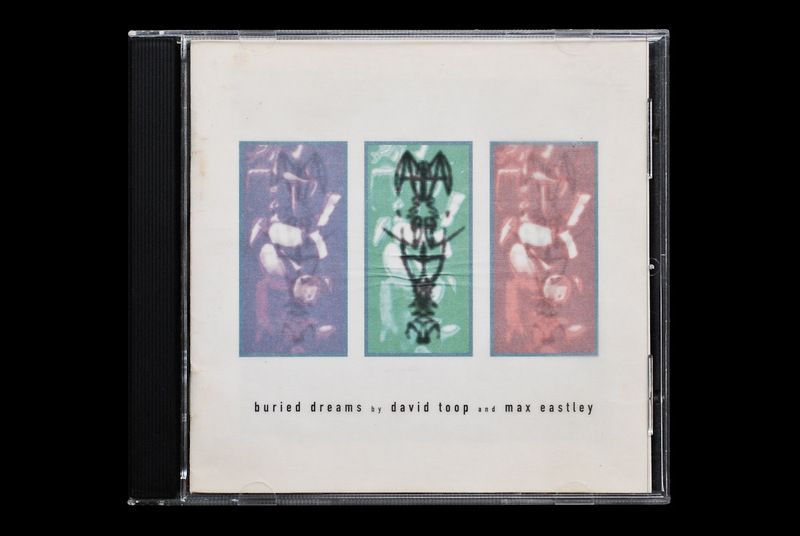 Buried Dreams in physical format is sadly long out of print, Beyond Records folding sometime in the mid ’90s. It is, however, available as an MP3 download on Amazon. 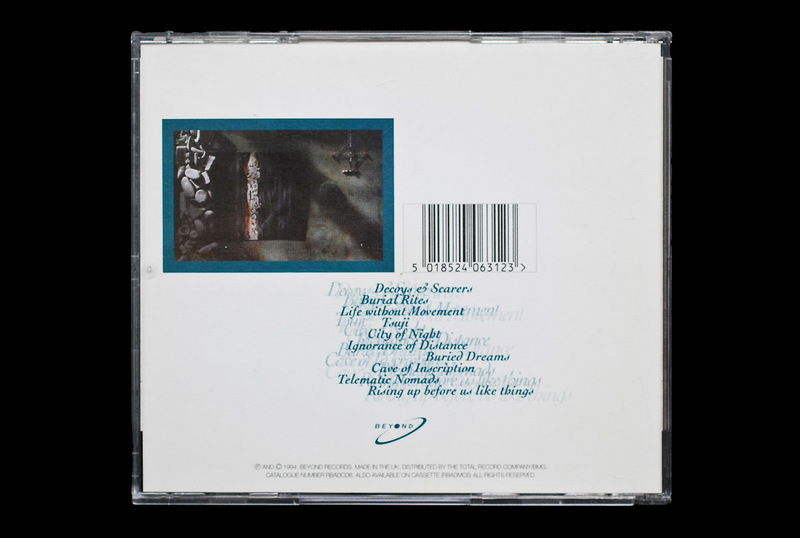 Beside Buried Dreams, the label was also notable for releasing pseudonymous work Paul Schütze and Richard H. Kirk. 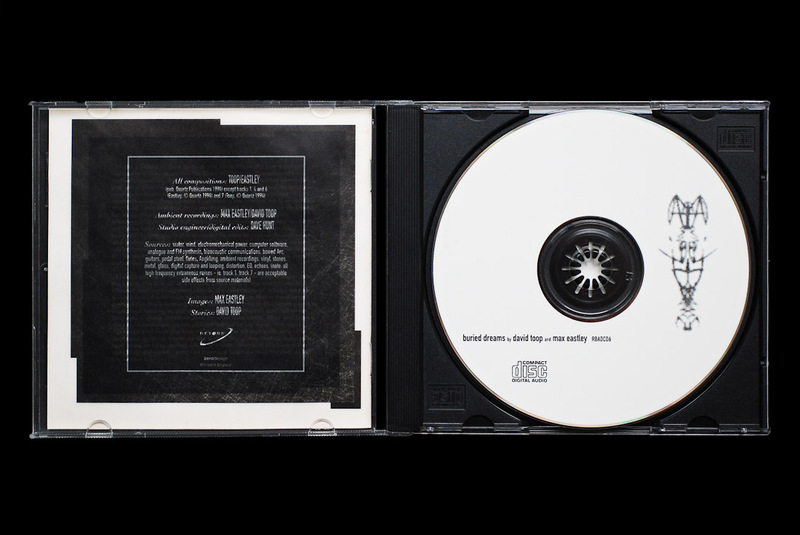 Only be tempted by the pre-recorded cassette version, as I was on the album’s release, if you have no other choice: it lacks the narratives and most of the graphics. Despite a recent resurgence in the medium, cassettes almost always proved to be the impoverished relative of the CD and vinyl album. 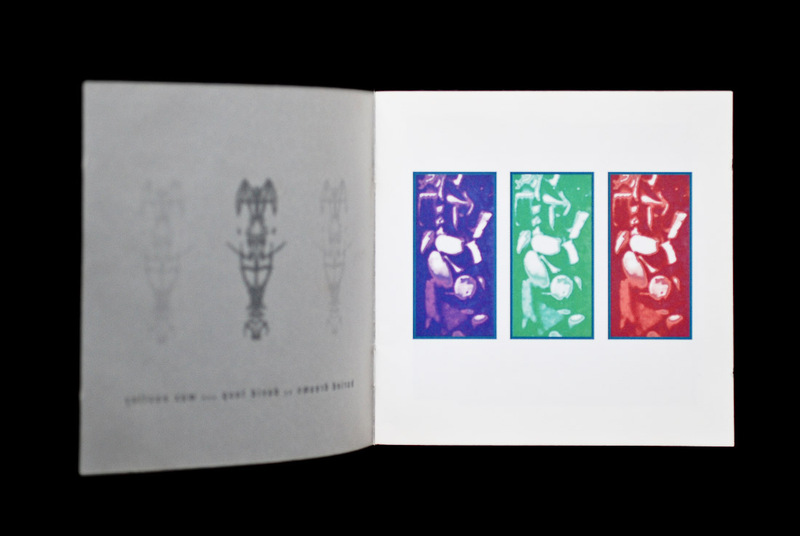 The track included below, Burial Rites, is a slight remix that was released on Isolationism, part of Virgin’s brief but impressive run of brilliantly curated compilations. Isolationism along with Jazz Satellites – Electrification was the singular work of Kevin Martin who also provided the brilliant graphic overload under the guise of The Pathological Puppy. They’ll be covered here at some point in the future. 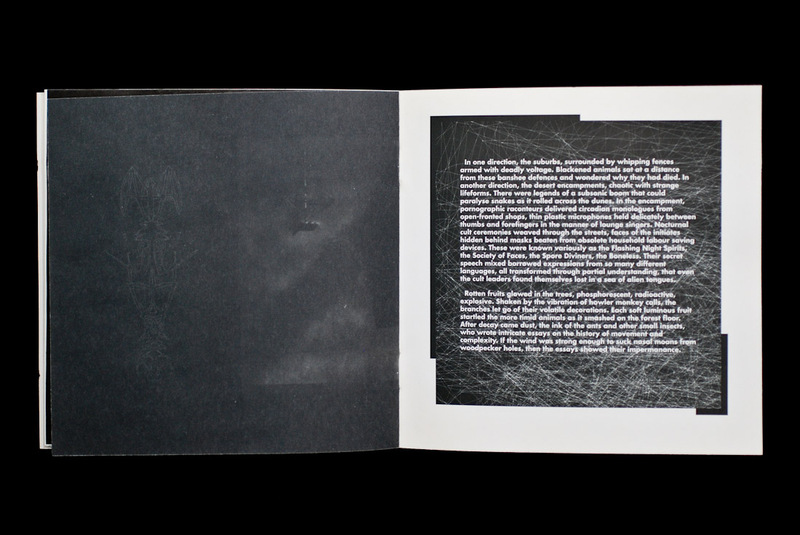 Toop and Eastley’s work found sympathetic neighbours in the likes of AMM, Sufi, Techno Animal, Raoul Björkenheim, ‘O’Rang and Thomas Köner. If you’re unfamiliar with Buried Dreams, seek it out.